Coming of the wunderfilm "Frozen," Disney faces huge expectations for its animated feature film follow-up. Well, it's now almost here, after watching the usual slow-building roll-out campaign that has been accelerating all year long for "Big Hero 6." This is Disney's first animated movie based on a Marvel comic book with ‘Big Hero 6,’ and its new Disney/Marvel trailer greatly expands upon what little we knew about the film. ‘Big Hero 6′ is about young prodigy Hiro, who forms a bond with a marshmallow fluff-looking robot named Baymax after the loss of his brother. Designed as a medical aide, Baymax is a lot more than just that. Hiro makes some upgrades to transform him into a fighting machine after the kid’s latest invention, micro-bots, falls into villainous clutches. “This may undermine my non-threatening, huggable design,” jokes Baymax. 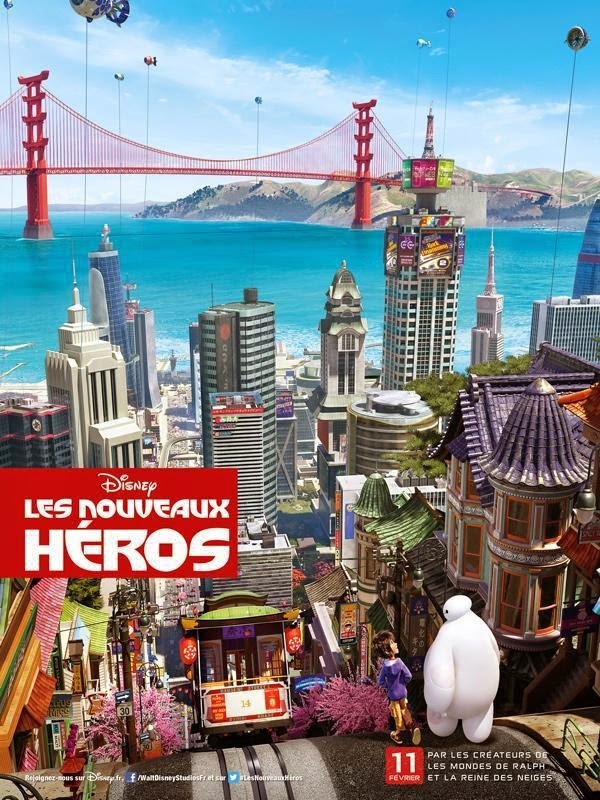 To get the micro-bots back and save the city of San Fransokyo from ruin, Hiro and Baymax team up along with his older brother and his friends to save the world - or at least the city. This film doesn't look like quite the slam-dunk that 'Frozen" turned into, appealing to a radically different audience, but the animation is superior. The one advantage that 'Big Hero 6' has is that there are a lot of Marvel fans out there. Being based on a Marvel comic book taps into a whole new audience that seems to have been an afterthought in the marketing process, but could provide a surge in interest. This latest ‘Big Hero 6′ trailer touts more of the action, humor and expert animation style we expect from Disney. The cast includes Disney star Ryan Potter, Scott Adsit of ’30 Rock,’ funnyman T.J. Miller, Jamie Chung, Genesis Rodriguez and Maya Rudolph. ‘Big Hero 6′ will hit theaters on November 7.